Besides a cookbook, I picked up a book called The Proust Questionnaire at Lakehouse this week. 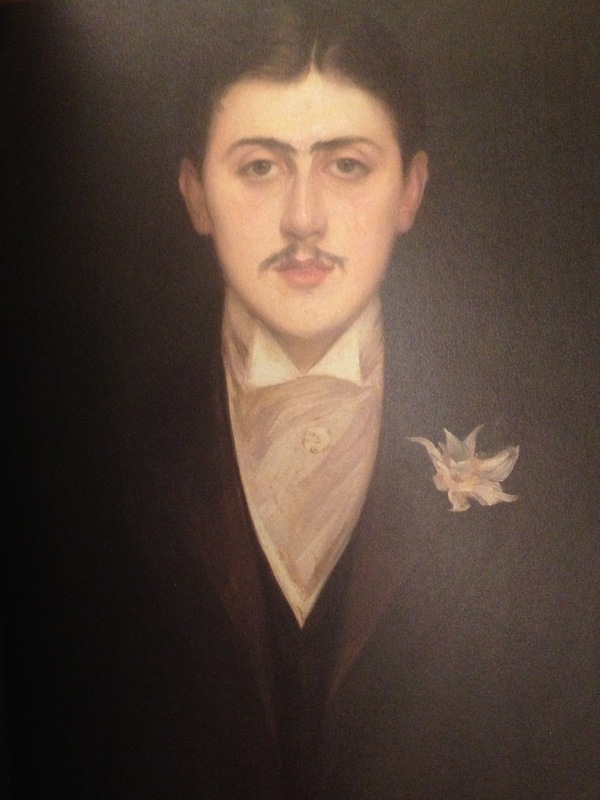 I must admit I have never read anything by Marcel Proust, but I've heard people answer different versions of the Proust Questionnaire many times over in the past couple of years - mostly on the CBC Radio One program The Next Chapter. Inside the Actor's Studio gives a questionnaire to it's guests as well, and it finds its roots in the Proust, with a couple of twists. I think you can tell alot about a person by their answer to the question "What is your favourite swear word." Actually I don't think that at all, but I'm a typical analytical, introspective Virgo and this type of thing is very appealing to me. The book I purchased includes a reproduction of the original questionnaire, filled in by Mr. Proust in 1886 and a translation on the facing page. It does the same with Questionnaire # 2 completed 1890 - 1891. The majority of the book contains questions answered by people you may or may not have heard of like Bridget Bardot, Rosanna Arquette, Bernard Venet, Isabelle Anjani and Luc Sante. 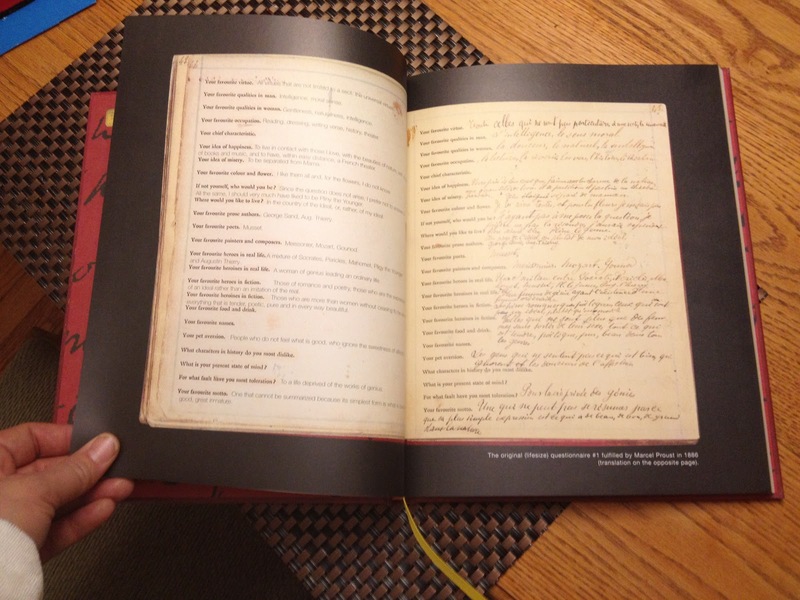 The book ends with some blank questionnaires. You can find a full list of the questions at this site or you can stay here and ponder the ten questions I have listed below, thought not all are written in question format. After much inner debate I decided to post my answers. Feel free to post your own in the comments section. Today I pick Tina Fey. Time spent in nature with people I love. ferrets. haha. But seriously being stuck listening to water gurgle it's way down a partly blocked kitchen drain will quickly push me over the edge. Just for fun, here's the last question in the Actor's Studio Questionnaire because it's quite telling, the answers are often so touching and it's a good question to think about. If heaven exists, what would you like God to say to you when you arrive at The Pearly Gates? Betty White said "Come on in Betty, here's Allen". (Her husband Allen Ludden died in 1981).